But there will be exceptions, Yuri Borisov underlines. In a TV interview this week, the Russian deputy minister confirmed his support to the upcoming restrictions on the Russian Arctic shipping route. According to a bill elaborated by the Ministry of Industry and Trade, only ships built in Russia and carrying Russian flag will be allowed to sail on the route. The law is due to come into force on 1 January 2019. «The Northern Sea Route is simply Russian coastal waters, therefore we in this connection support our shipbuilders,» Borisov said in a Vesti news show. He added that he sees «no anti-market measures» in the bill. «This is simply normal protection of Russian producers,» he underlined. At the same time, the Deputy PM made clear that there will be made exceptions and that the sailing route consequently will not be fully closed for foreign-built ships. The Russian government will be able to issue permissions to foreign vessels and shipping companies. 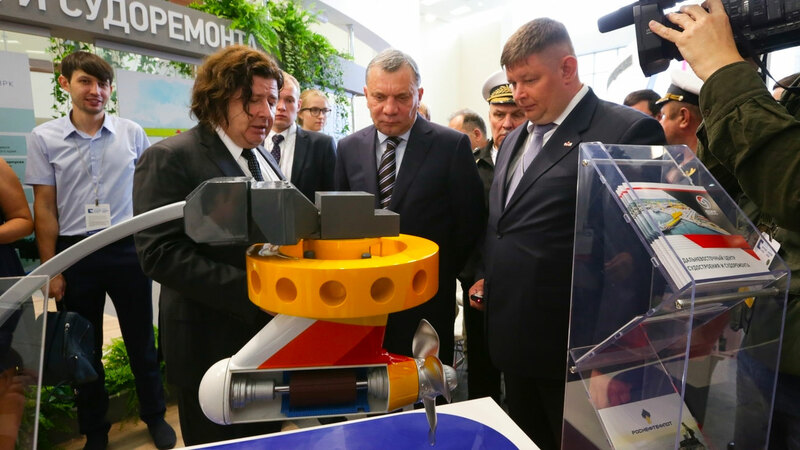 «Clearly, we will not be able to close the route for all kind of kind of ships right away,» Borisov said in the interview that is referred to by TASS. The introduction of the limitations comes as growth on the Northern Sea Route is significant. In 2017, at total of 10,7 million tons were shipped through the Arctic waters, an increase of about 30 percent from 2016. The rapid growth continues into 2018, and figures for the first eight months of the year show a more than 80 percent year-on-year increase. The Arctic route has become a national government priority rooted in the highest level of the Kremlin. The list of priorities handed over to government by President Vladimir Putin in May this year includes the NSR. The decree from the Kremlin states that the NSR is to be developed and that annual goods volumes on the route is to increase to 80 million tons by year 2024. The two biggest sources of goods on the NSR are today the Novy Port oil field and the Yamal LNG, both of them projects in the Yamal Peninsula. In the latter project, practically all shipments are made by foreign shipping companies and ships sailing under foreign flags. Project operator Novatek has consequently voiced strong opposition to the NSR sailing restrictions.